CALVIN Abueva captured his second Accel-PBA Press Corps Player of the Week citation for the period covering March 7-13 after leading Alaska’s back-to-back wins in the Commissioner's Cup. The enigmatic Alaska wingman was at his best last Wednesday, hounding Barangay Ginebra import Othyus Jeffers while adding 17 points, nine rebounds and four assists in the Aces' 86-80 win. 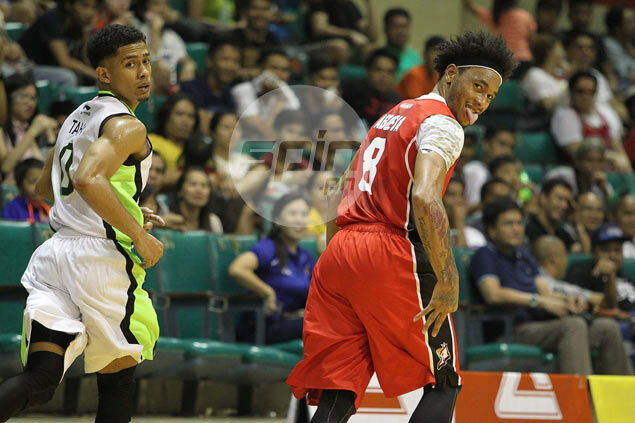 Three days later, Abueva was in beast mode again, bucking a sprained ankle to punish an undermanned GlobalPort side with an array of shots from inside and out to lead Alaska to a thrilling 103-101 win at the Cuneta Astrodome. The former Rookie of the Year finished with a career-high 29 points, on top of 14 rebounds, four assists, three steals and two blocks as the Aces secured the solo lead with their fifth straight win. “I feel like he’s (Abueva) maturing. And his energy I don’t think has changed one bit because he still has that boundless energy and enthusiasm that helps him make plays,” said Alaska coach Alex Compton. Abueva beat out Rain or Shine big man JR Quinahan, Star veteran guard Peter June Simon and Tropang TNT backup guard Jai Reyes for the weekly citation. Alaska will be shooting for its sixth straight win this Wednesday when the Aces clash with San Miguel Beer in their first meeting since Game Seven of the PBA Philippine Cup last January.